You are here: Home Moon Cycles Supermoons And Black Moon Lilith: You Can’t Have One Without The Other! The term supermoon refers to a new or full moon which occurs on (or near) the point on the moon’s orbit closest to the earth (known as lunar perigee). There are usually between four and six such moons a year. A full supermoon appears visibly bigger in the sky and can be a truly spectacular sight, especially in the northern hemisphere during Winter when they are at their largest. The term supermoon was coined by the astrologer Richard Nolle in 1979. He observed that geo-physical stress seems to be enhanced within three days either side of their occurrence, causing earthquakes and other extreme weather phenomena. However, later research has refuted this claim, so there is some debate in that respect. Nolle established that the Moon must be within 90% of perigee to be deemed a supermoon. However, this can designate ‘super’ status to a moon which is more than twenty degrees away from perigee: a very generous orb of astrological influence. In practice I now apply a much smaller orb to identify which supermoons will bear a particularly significant impact upon us, both individually and collectively. Generally speaking, if a moon is more than nine degrees away from perigee I would not assign it any greater influence than that of a regular new or full moon, unless it’s conjunct a planet closer to lunar perigee which may act as a bridge. So what’s all that got to do with Black Moon Lilith? Everything, because Black Moon Lilith (BML) is the point on the moon’s orbit furthest from the earth (known as lunar apogee). At the full, new and quarter phases of the moon BML is opposite lunar perigee where supermoons occur. 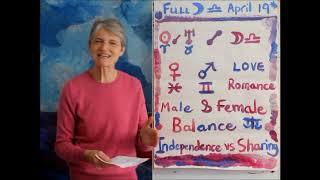 Lunar perigee is also named Priapus after one of several Greek gods of fertility, but more on him in a minute…. Black Moon Lilith reflects our inherent power and greatest resistance to control by external forces. She invites us to channel the rawest, most primal energies of the universe and connect deeply with the timeless Self, unshaped by the socialising forces of family, society and authority. BML is the untamed feminine, but not restricted by gender. She exists inside us all. Where the Moon can be easily influenced and deeply impressionable, the Black Moon is the opposite: impenetrable and steadfast. BML is our hidden strength and gifts us with her power when all else fails. She is us in our darkest moments, when we discover we can survive anyway, and even thrive. When we encounter BML we know all about it! The whirlwinds of life blow through and around us and we are confronted with opportunities to discover our own unmitigated power in response. By contrast her opposite, Priapus, is depicted with a permanent and oversized erection, representing his unending lust and the constant frustration that arose from his attendant impotence. Astrologically he symbolises the pitfalls of egoic desire, the unending search for satisfaction that defines the human realm. Whether we seek wealth and fortune, inner peace and wisdom or safety and security, desire and its objects shape every life, as does the ebb and flow of satisfaction, frustration and perversion of that desire. At one level we are what we want, and we want what we believe will improve our quality of life. But the satisfaction of one desire frequently triggers the up-welling of another in quick succession while the ultimate human hunger – for liberation from the shackles of egoic bonds and realisation of the greater One – remains unsated. Which tells us something important about the astrological significance of supermoons: occurring in alignment with Priapus, they signify a time of great desire and all that goes with it – frustration, greed, grasping and competition. When one occurs we risk being consumed by the baser aspects of human nature as they rear up to take control. Whilst Black Moon Lilith is a place of empowered spirit, Priapus is a place of demanding ego where we fight for what we want regardless of its impact upon our life: simply wanting it is reason enough to pursue it, be it food, drink, another person, social status, an object, an experience, even death. Whatever it is we desire, when the Moon is within nine degrees of Priapus we can become lost to craving if we don’t resolve to stay conscious and awake. Black Moon Lilith knows this and offers a helping hand if we’re prepared to take it. But I’ve heard supermoons are good things and come with great positive power. You make them sound like something to be feared! What we actually make of a supermoon is up to us. We can allow ourselves to be consumed with greed and stubbornly pursue our desires even when not in our best interests. Or we can use this powerful time to nurture desires which will enhance our insight, increase our peace and serve a greater good. How we manage desire and respond to its demand is key. Do we assume a right to have whatever we want and throw a tantrum when life doesn’t deliver? Do we place our wants above everyone else’s and expect them to dance to our tune? Do we elevate the desires of others and cast ours aside as irritating distractions? Do we run what we want through the heart to see how well it aligns with a deeper knowing? And, perhaps most importantly, what does our response to desire say about what we really need?! So what’s the difference between a full supermoon and a new one? When the moon is full it lies exactly opposite the sun, so a full moon is always in the opposite sign of the zodiac to the sun. Every such moon carries a certain degree of tension due to the sun and moon pulling us in opposite but intrinsically linked directions. Our instinctual, feeling self (the moon) wants to do one thing and our conscious, intentional self (the sun) wants to do the opposite. In fact, these apparent opposites are extremes on a spectrum which need each other to exist. Recognition of their inter-dependence turns an inner and outer struggle into a rich and complex dance of paradox, balance, discernment and self-expression. This is true of all full moon energy. When a full moon incorporates Priapus (conjunct the Moon) and Black Moon Lilith (conjunct the Sun), we have a potentially disruptive energy to handle, for the instinctual moon is overcome with desire and craving whilst the conscious sun is aligned with raw, unmitigated and impersonal power. Mishandle these two tricky customers and you’ll know all about it! When we encounter oppositional energy we often favour one end of the spectrum and avoid or project the other. The task of any astrological opposition is always to bring both extremes into full consciousness, recognising them as equally significant and vibrant aspects of our core self. If we favour the moon/Priapus extreme at a full supermoon we can find ourselves beholden to desires which fail to nourish in the long run. We may lose the capacity to delay gratification in honour of more meaningful aspirations, instead prioritising the satisfaction of egoic demands. Like an angry child denied their favourite food while everyone else seems to be eating it, we rail against the world around us, throw our toys out of the pram and generally expect and insist that we get our own way. How we do this will vary depending upon our own personal style. If we tend to subtly manipulate people into our way of thinking we may become super-manipulative, playing everyone around us like a puppet on a string. If we tend to be outspoken, we may be all the more so, assuming our word is law and becoming increasingly frustrated when others don’t afford it the respect due! If we tend to independence and getting on with our thing, we may become so detached from the concerns and feelings of others we trample over their hopes and dreams without so much as a bye-your-leave. Whatever our usual default setting, it is magnified at a full supermoon, as are the consequences of our actions. 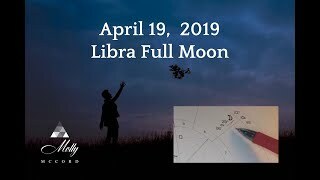 While all this is going on the sun is conjunct Black Moon Lilith, the seat of raw and primal power, so you can see how things could get out of hand! If we allow our egoic desire nature to run wild and call the shots, it can unconsciously draw on BML to fuel its rampage, creating a heady and potent mix of self-interest and unmitigated narcissism. Alternatively we may disown BML, projecting her onto the world around us, perceiving ourselves as powerless and all agency in the hands of others. This creates intense frustration and the potential for significant conflict both within and without. But it doesn’t have to be this way. The alignment of the Sun and Moon with BML and Priapus provides the perfect opportunity to get to know our desire nature; to feel the burn of craving that distracts us from our true path and differentiate it from the sacred desires which progress us along it. If we approach a supermoon (including the three days either side of it) with awareness, and resolve to use its energies to turbo-charge our growth, it can be a time of great insight. We can penetrate the deeper currents which move within us, tracing the flow of desire at all levels of our being: physical, mental, emotional and spiritual. As we do this we can recognise where we embody sacred will (Black Moon Lilith) and where we seek to impose our egoic will (Priapus) on the world around us. At which point we have a choice: do we invest this powerful lunar energy in getting our own way or allow Sacred Source to have its way with us? It may be tempting to see this as a time to batter the ego into submission, but this would be unwise. Ego is not our sworn enemy but instead an aspect of human nature in need of compassion, understanding and ferocious love which demands its highest expression, aligned with spirit and acting in harmony with Life itself. We are not incarnated to eradicate ego but to refine it such that it becomes a tool for liberation not an obstacle to it. Full supermoons provide a masterclass in how to do that if we commit to being willing students for the duration! The best way to use full supermoon energy is to reflect on what we crave so much it hurts and those things we dread losing. To consider what we think we want compared to what our heart yearns for, and contemplate the difference in quality between mind and heart desires. When we know what we want with our heart and soul, the fleeting desires of the mind – often motivated by avoidance rather than authenticity – lose their shine and more authentic needs take precedence. We can then take meaningful action in the light of the full supermoon, which furthers our journey into a heart-centred life, aligned with Sacred Source. When the moon is new the sun and moon are in the same degree of the zodiac, working together in harmony. Like peas in a pod, they support and reflect each other, bringing the instinctive, feeling self (moon) into alignment with the conscious, intentional self (sun). This is why new moons are traditionally a time to go within, because, unlike at a full moon when we navigate the world of opposites, at the new moon internal coherence arises more readily and we can rest in our centre, complete. On a new supermoon both the Sun and Moon are conjunct Priapus, the place of rampant desire and impotence, bringing us face to face with craving and yearning, lust and longing. We covet what we lack and envy can be rife. The traditional peace of a new moon can be blown apart by a psyche under siege, beholden to self-imposed demands which it cannot fulfil. 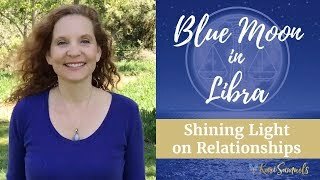 Unrequited love can feel especially bitter at a super new moon, as can missed opportunities or past decisions that failed to deliver as planned. At this new moon we are consumed by a lack of influence over the world around us and the course of our own lives. We may feel compelled to act and yet powerless to bring about the changes we desire. Until, that is, we bring ourselves into alignment with the deeper current of sacred becoming in our life, adopting its rhythm as our own. This process may necessitate relinquishing a long cherished dream as we recognise the unconscious forces within that have mischievously propelled it to the fore. What we thought was a desire to do good is revealed as simply a need for recognition. What we believed should be our destiny becomes the biggest distraction from all we could become. What we assumed was the truth of our lives is exposed as a confusing lie that we, ourselves, have perpetuated. We can see all this at a new supermoon if we dare peer into its darkness and acknowledge what we find. Or we can allow the forces of ego to whip us up into their special kind of frenzy and pursue (unsuccessfully) the satisfaction of all they demand. Unlike at the super full moon when the sun illuminates Black Moon Lilith and harnesses her unbridled power, at the super new moon she waits in the wings. Should we want to call upon her she will be there for us, infusing us with the power to relinquish the shackles which cut into our flesh and imprison our soul. But she will just as happily let us dig ourselves into a pit of frustration as we insist that life must be a certain way despite all evidence to the contrary. To make the best of this moon we must commit to an inner journey that may be scary. We may have to face the fact that what we thought we wanted is but a pale reflection of who we truly are. Insights arising at a new super moon can change a life if we let them. If, however, we choose to ignore them, life will be tarnished by our refusal to honour what is unavoidably true. Action is less of an issue at a super new moon, but the inner journey is vital if we want to recalibrate desire to better reflect our core essence. This is a time of insight and understanding, of penetrating our desire nature to better perceive what motivates the choices we make. Responding is for another day. Here we sow the seeds of a new way of living, planted in the sacred ground of our being and watered with awareness. We are not forever bound by desires which keep us running exhausted on the treadmill of craving. Nor are we beholden to our ego’s demand for gratification at every turn. We can unhook from all of that, instead connecting with the deepest movements of the soul, until now hidden from view. How do I know if I was born on a supermoon? 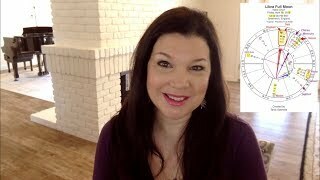 If the Sun and Moon are in the same degree in your birth chart you were born on a new moon. If they are also within nine degrees of the opposite degree to your natal Black Moon Lilith you were born on a super new moon. If the sun and moon are opposing each other in your birth chart you were born on a full moon. If the Sun is also within nine degrees of your natal Black Moon Lilith you were born on a full supermoon. What does being born on a supermoon mean? For those born on a supermoon, the lunar nature is heightened and enhanced. Emotions and instincts become powerful forces, for good or ill depending on how they are managed. Additionally, all matters concerning the moon in the birth chart carry added weight, and the house ruled by the moon (the house with Cancer on its cusp) is of particular significance. Here we may encounter severe frustration to deep satisfaction, depending upon how well we manage our desires and our relationship with the unfolding currents of our life. If we insist on digging in our heels and demanding life do as we command, we will encounter ever greater obstacles to satisfaction and fulfilment until we eventually paint ourselves into a corner and have no choice but to relinquish egoic desire and honour divine will, whatever that means to us. However, as soon as we resolve to listen to the voice of the heart and allow our instincts to serve inner knowing rather than egoic demand our life begins to transform, as does our energetic footprint, which both shapes and is shaped by our interaction with the world. The unending feedback loop of energy between us and our environment creates a nourishing balance in our lives and we can connect with a deep inner well of wisdom from which our life instinctively flows. If we were born on a new supermoon we must pay careful attention to our relationship with desire and our assumptions about life. Learning to delay gratification rather than seek to assuage desire at every turn is an important lesson, the sooner learned the better! 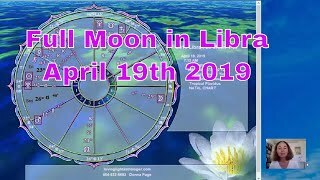 Remember, Black Moon Lilith is a distant force at a new supermoon and we may struggle to sense our connection to a greater power. We may believe that it is all down to us or to fate. That we cannot change our life only react to it, feeding the cravings, demands and desires that we experience as we go; forever seeking relief which recedes from us commensurate to the speed with which we pander to ego and ignore our essence. For those born at a new supermoon the greatest wisdom can be found in questioning desires, not satisfying them, peeling back the layers until the deepest and most heartfelt desire can be known, and then living in honour of that. If we were born on a full supermoon, how we act is of the utmost importance, especially in relation to lunar and solar issues in our natal chart. The emotional and instinctive energy that we invest in our behaviour is supercharged and carries a life-changing force within it. We must treat it with respect and value clarity of purpose above all else. If we’re unclear why we want to pursue something or someone with such zeal, best we do nothing until we understand more. With our natal Sun in the same degree as Black Moon Lilith we have the power to create or destroy through what may seem to be fairly insignificant acts. It is our personal duty to align this power with Sacred Source and use it in accordance with the unfolding of a greater destiny, not to serve a future shaped only by egoic demand. It is important that we commit to bringing unconscious forces into awareness so we can act in authentic alignment with our core self. This process takes time, and the younger years of someone born on a full supermoon may be peppered with experiences that reveal the destructive potential of unbounded desire, before they can more readily harness the creative force let loose when desire is aligned with Sacred Source. 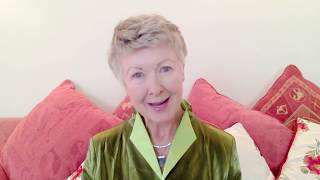 I hope this whirlwind tour through the world of supermoons has helped you better understand their impact in your own life and how to best work with their significant energy for the greater good of all! © Sarah Varcas 2019. All Rights Reserved. Permission is granted to freely share this article in its entirety on the condition that full credit is given to the author, it is distributed freely and the URL www.astro-awakenings.co.uk is included.